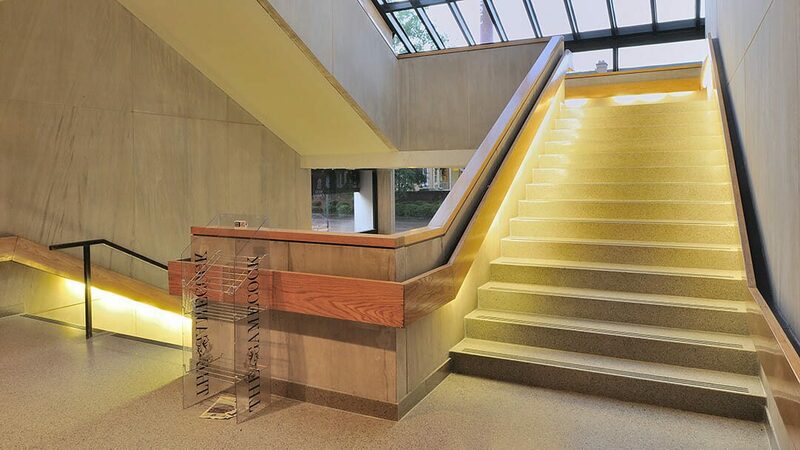 This renovation of the Russell House, the University of South Carolina’s student union, affected most of the Second Floor of the facility, including the main lobby and ancillary spaces. The goals for the renovation were three-fold: to update and brighten the dated aesthetic, to showcase the Heritage Wall, paying homage to the founders of the Russell House, former Governor and Mrs. Donald S. Russell, accompanied by a visual history of the Union, and to provide more functional and welcoming furnishings for the social and study habits of day’s students. And all this was to be accomplished within a tight construction schedule of just 35 days during a summer. The original flooring, a dark brown brick, looked dated, absorbed most of the natural light, and was difficult to maintain. 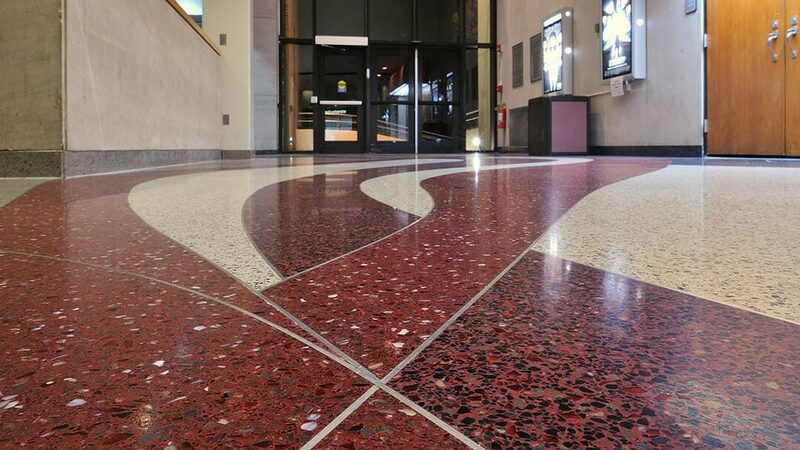 The new terrazzo flooring with light field hues of white and warm grey instantly improved light levels and coupled with university colors of a rich garnet and black gave a lively and active feeling to the space. 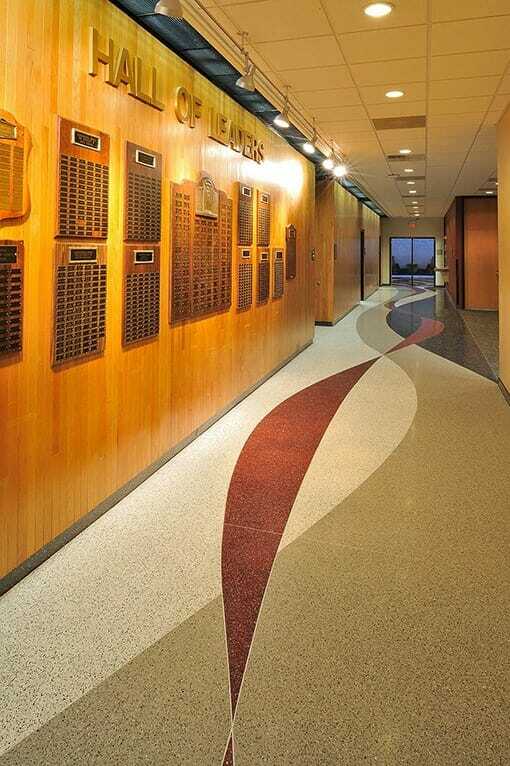 Set in a dynamic pattern, the five color initiated a natural flow and wayfinding with familiar “feather” components of the University’s Gamecock logo. The new furnishings, in casual arrangements, for various-sized groups, served to meet the students’ current social needs, increasing usage numbers. The centrally-located Heritage Wall serves as a tribute to the Russells and initiates a series of gallery walls highlighting campus leaders for the thousands of alumni and students who return to the Union each year.